Men are making quick trips to the store, buying clothes online and influencing household purchases. How well does your brand know how to engage him? Our research reveals key behaviors of today’s shopping man, and how some brands are talking to them. He may not ask for directions to your store, but when it comes to his shopping behavior, today’s man is likely to plan his trips, compare the lettuces and yes, even ask if those pants make him look fat. With more women in the workplace, with more men now having paternity leave, plus a range of tech tools streamlining the buying experience, men are increasingly taking on the role of day-to-day shopper. In doing so, they are assuming more influence over household purchase decisions, from cleaning products to curtains. Unclear still is if men feel well received in the aisles, both physical and digital. While some retailers and brands have taken notice of his unfolding presence and are learning to talk to men as shoppers, they may not be acting fast enough. Based on our 2018 survey for our How America Shops® report, Super Metrics: Benchmarking the Future, men are taking more control of the trip. He plans, and he doesn’t. Men are as likely as women to make quick trips to the store, with 71% dashing in to pick up a few items. That being said, 70% make planned trips. He commits. Once they’ve decided what to buy, 75% of men are not likely to change their minds in the store. He buys what she buys. 32% of men now spend more on fresh produce, 26% spend more on prepared foods for home and 24% spend more on salon services. He picks clothes online. 44% of men buy their apparel online, though in the physical store they are more likely than women to ask for advice on clothing – 23% versus 14%. Nordstrom: The Seattle-based merchant chose to make its Manhattan debut not with a woman’s store, but with its first full-line men’s shop. At the Nordstrom Men’s Store NYC, visitors have access to exclusive styles, to reserve items to try on in store, same-day delivery, personal stylists (because men like to ask for apparel advice) and one-hour alterations. While waiting for those pants to be hemmed, he can get a shave, have his shoes shined, grab a beer at the Clubhouse or visit the Levi’s Tailor Shop and have his jeans embroidered. Speed is essential to men – according to our 2016 report, Buying Happiness, 29% of men will pay a little more to shop stores where they can get in and out quickly. Amazon: With more than 100 million Prime members, and the probability that Prime members are twice as likely to buy clothes on Amazon.com, the online merchant is poised to become the leading U.S. apparel seller in 2018, Morgan Stanley predicts. At the ready, Amazon has introduced several private label clothing lines for men, including Peak Velocity activewear and Buttoned Down dress shirts. Further, Amazon is expanding its Prime Wardrobe subscription service. This matters because men are more likely than women – 26% to 7% – to use subscriptions to replenish occasional items such as clothing. Giant Eagle: The supermarket chain is adding Ace Hardware departments to five of its Pennsylvania stores this summer, following several other regional grocers that have done the same. The move clearly simplifies the trip for men – the NPD Group estimates men are the primary grocery shoppers in 41% of U.S. households. Other markets have added “man aisles” to fill short-term needs (read: quick trips). Think stereotypically masculine products like charcoal, hot sauce, and beer. The shortcoming of this logic is men also eat salads, cook and change diapers. Perhaps there’s a way to connect the quick-trip, man-aisle items with these essentials. Health-Focused Drug Stores: More men than women – 58% to 42% – are what we describe as “Health Xtremes” or people who are extremely devoted to a healthy lifestyle, according to our How America Shops® report, The Power of the Xtreme. The two leaders in retail drug, CVS, and Walgreens, both include male-specific web pages and product categories in the aisles, but when it comes to targeting health, CVS may have the edge. Among Health Xtremes, CVS beats Walgreens on several preference categories including efficiency, service, and offers. Note these retailers all target different demographics, but the younger you can engage the increasingly influential male shopper across categories, the better. Those that are not sure how should just ask for directions. It’s evident in their behavior. Caring Scores. Do Shoppers Believe You Care About Their Health? 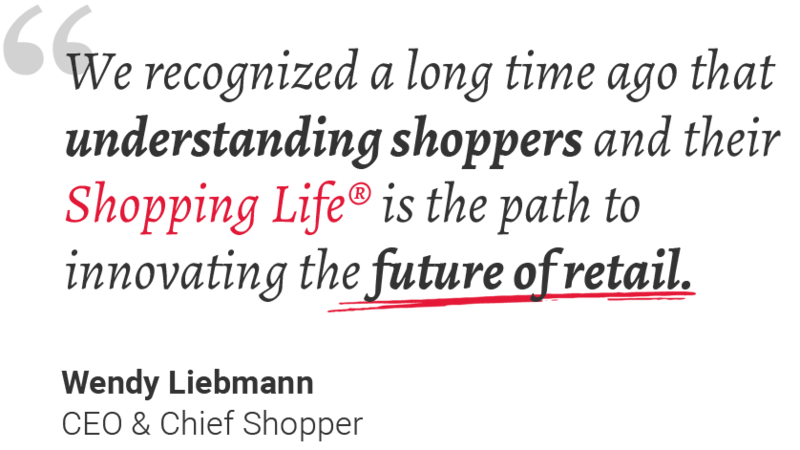 Get our latest thinking on retail strategy & shopper insights. Your message has been received and we will be contacting you shortly to follow-up. If you would like to speak to someone immediately feel free to give us a call 212.924.7780. You have successfully signed up to the WSL Trend Alert.